We (HAZTECH GLOBAL, reg no 95933) are located right in the centre of Satok Commercial Zone, where your personal and business daily needs would be just within a walking distance way from you (7 banks, restaurants & coffee shops, KFC, McD, Wisma Satok shopping omplex, Post Office, mini market & sundry/hardware shops, pharmacies, SCR and all). 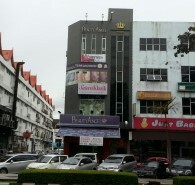 Our office floor is between CIMB Bank, Wisma Satok Branch and the McD, facing the main road of Jalan Satok. 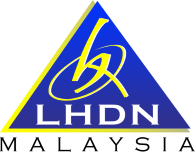 Haztech Global has established since 28 January 2013 and registered under Lembaga Hasil Dalam Negeri (LHDN), Malaysia. Our main visions are to be an indigenous superior firm, creative and innovative and visionary through the application of moral values and the implementation of administrative systems approach is more global and effective use of the latest technology in its implementation, to heeding the government's call to create the One District One Industry of indigenous people, to upgrading the economic state and the indigenous traders. Moreover, jointly contribute to economic growth, to achieve the ISO and MSC status for Small and Medium Enterprises, in producing quality information technology products and transparent and finally to make service a service that can be enjoyed by many people and the local community and international levels in line with the 1Malaysia Concept. Haztech Global, a wholly owned Bumiputera Company has a suite of bumiputra licenses from Ministry of Finance (MOF), the Funds From Operations (FFO), Malaysia. These suite of license, are evidences of our competencies in providing contract works in Office and Machinery Management, Computer Science, Information Communication and Technology (ICT) Engineering. We pride ourselves on our highly dedicated team of skilled Bumiputras and professionals that are result orientated. Haztech Global also has a suite of bumiputera licenses of Unit Perkhidmatan dan Kontraktor (UPK) from Pejabat Setiausaha Kewangan Sarawak. These suite of license, are evidences of our competencies in providing contract works in Office and Machinery Management, Computer Science, Information Communication and Technology (ICT) Engineering. Aside of this license, Haztech Global also has opened its branch under District Office Mukah for main ICT rural operation purposes which fully operated by bumiputera staff.